Bright Cellars (Milwaukee) is a subscription wine club that matches members to monthly wine selections. Members take a wine quiz to build a taste profile and the company uses its matching algorithm to choose the best bottles to fit the taste of each individual member and sends them four new bottles of wine once a month. Bright Cellars also offers a similar subscription service for cheese that works the same way as its wine service. In December 2017, Bright Cellars hit their first $1,000,000 sales month, with year-over-year revenue growing by over 60%. 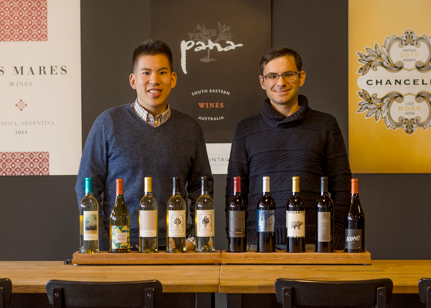 In addition to market expansion in their direct-to-consumer business, they have started partnering with state distributors to get their wine onto shelves and into restaurants. Look for Bright Cellars wines to hit the Milwaukee retail market in Q1 2018.